From the psychological effects of electronic games to new mobile apps geared at improving mental health, the impacts of technology on psychology are profound. Whether you choose to pursue a career in industrial-organizational psychology or to become a counseling psychologist, the technology people use and emerging technical possibilities will greatly affect both your preparation and your practice in the field of psychology. Since the birth of modern psychology, popular methods of communication have influenced psychotherapy sessions. In the early days, a handwritten letter to a client might be shared with the therapist. In therapeutic sessions, recollection of conversations and things people have said to the client have always played an important role. As more people use texting and mobile devices to communicate, many therapists find that their younger clients like to refer directly to their text history to work through issues in therapy. This can be especially helpful in working with adolescents on interpersonal relationship issues. Rather than relying on the client’s memory of an interaction, the client and therapist together can look at what was actually said during the interaction. Often, the client will have forgotten or mentally skewed the recollection of her or his part in the conflict, but the phone’s history helps to clarify the involvement of both parties. This tool can help clients identify destructive or inappropriate interactions, and psychologists can work with them to change these behaviors. 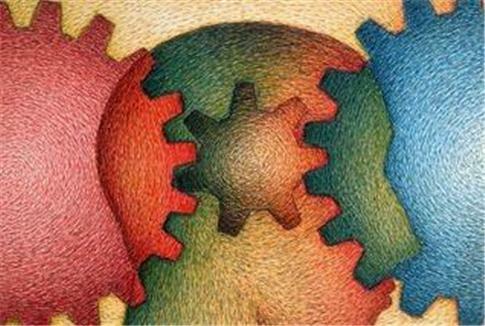 The fastest growing specialization in the field of psychology today is industrial-organizational psychology. Psychologists in this specialization work with employers to improve employee retention rates and productivity. Many people in this career work closely with computer programs. Some collaborate with others to improve the employment experience. They may also work to assess the usability of human resources applications. The more that technology is used in a particular company, the more that technology effects the career of an IO psychologist employed by that company. Technology and its relationship to IO psychology has expanded so much in recent years that some institutions of higher learning are recommending students complete secondary courses of study in computer programming or other technology-related field in preparation for becoming IO psychologists. Changes in testing have significantly changed many aspects of psychology. Personality assessments and IQ tests that were once completed with pencil and paper are now completed on computers. As computer technology has developed, tests have developed as well. Test takers using computers can be fed different questions based on their answers of previous questions. Research psychologists and diagnosticians take advantage of this to create more accurate assessments. Computerized testing also comes with disadvantages. Technical difficulties can skew results as can vision issues such as color blindness in test takers. Today’s psychologists need to understand the potential problems with computerized testing and address them in order to more accurately diagnose disorders or identify personality traits. Many exciting things are happening today in the world of technology. Psychologists are influenced by technological advancements in many ways, however the impacts of technology on psychology can be both beneficial and detrimental. As technology develops, clinicians, counselors, researchers and human resources specialists must all be prepared to handle both the good and bad issues created by technology.